​The Beef Data Genomics Programme (BDGP) is a climate change initiative funded through the Rural Development Programme. The aim is to improve the productive efficiency of the suckler beef herd by improvements in the genetic merit. 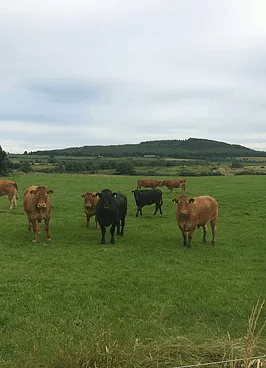 Through better breeding there will be efficiency gains through better grass utilisation, a more compact calving pattern, more calves born in the lifetime of the cow, and better herd health. This will enable more beef to be produced from a reduced cow herd using less inputs of feed, fertiliser and veterinary medicines. These initiatives will reduce GHG emissions and improve profitability on individual farms. ​All farmers participating in the BDGP must complete a carbon navigator. The carbon navigator is an online tool developed by Bord Bia and Teagasc. It captures the actual carbon footprint of the farm and provides a menu of options which would achieve improvements in the carbon footprint. It allows farmers to see what impacts changes such as extending the grazing season would have on profitability and on GHG emissions. It sets targets for farmers to reduce their GHG emissions.Frank Mannion is a beef farmer from Kilkenny and is a participant in the BDGP. Frank outlines the benefits of completing a carbon navigator. “I was surprised at how carbon savings could be achieved. Linking the carbon savings to actual profitability makes improving the carbon footprint of my farm a no brainer for me. Immediately I planned a few simple changes, subject to weather conditions, I’ll try to extend the grazing season by ten days, both Autumn and Spring. This will reduce feed costs, slurry storage and carbon footprint while increasing profitability. Click here for more information on the BDGP scheme.